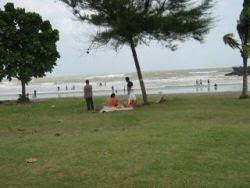 Lately on the Malaysian radio's they started a campaign to keep Malaysian's beaches clean. The sad news means it confirms that people don't care about the beach nor about the next swimwear tourist behind them. oh great Malaysia: you can just leave your dirt behind?